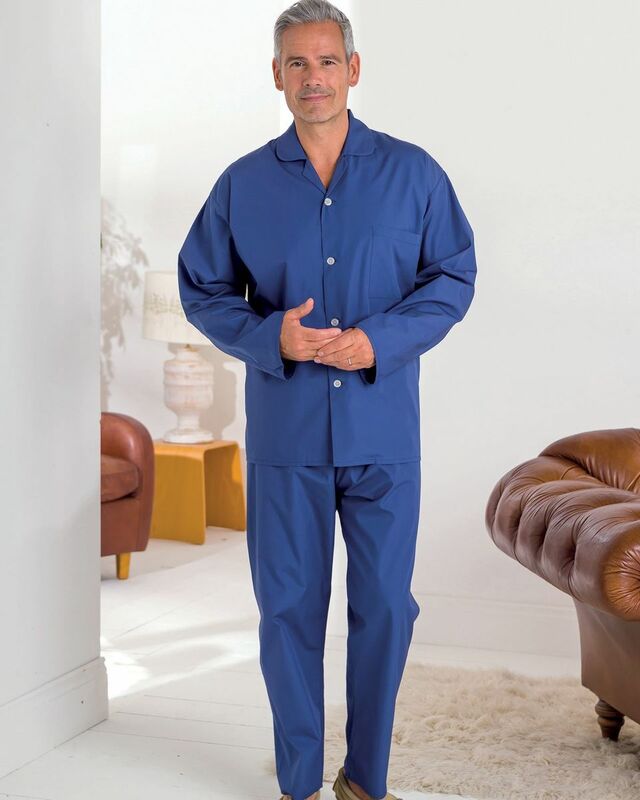 This the third set of your pyjamas that I have bought. Good plain product. Mens Pure Cotton pyjamas with a choice of cord tie or elasticated waist fastenings. Gently shaped collar and single breast pocket on pyjama top. 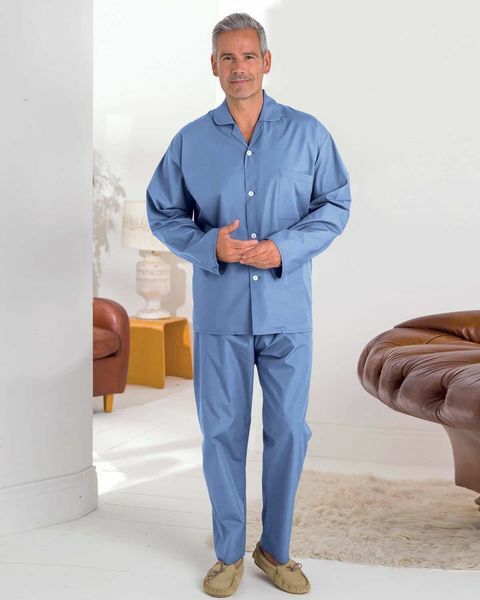 These pyjamas will keep you fresh and comfortable all night long. "This the third set of your pyjamas that I have bought. Good plain prod ..."